The 2014 debut full-length from Poultney's Ava Marie, In Our Garden. After the War. Your Eyes Close. I Breathe Out., was not precisely a concept album, but it was stitched together with thematic threads. An attempt at high folk art, the record wove rustic, narrative storytelling with an airy, indie-folk aesthetic. Think the Decemberists meet the Civil Wars. While Ava Marie didn't always hit their mark, the quintet set the bar high. In moments, their music achieved lofty aspirations. Ava Marie is back with a new EP, Kettle Steam. Not as grandiose in scope as its predecessor, the six-song recording suggests a refined, and maybe more reasonable, focus. Sometimes it's best to write a few short stories before tackling that novel. Kettle Steam also finds the band branching into new sonic territory. Ava Marie would still most definitely be found in the indie-folk stacks of your local record shop — if you still have one. But the new EP ushers in a wider array of sounds, most notably of the electric variety. This is apparent from the slightly sour — we assume intentionally — notes of the opening title song. Two twangy electric guitars, just barely out of tune with each other, compete for space in winding fashion. The discordant quality of those guitars mirrors what might be the band's defining characteristic: the curious sonic marriage of vocalists Macaulay Lerman and Shannon Saulsbury. Lerman sings in an almost tuneless, spoken-word style that's vaguely reminiscent of a brooding Mark Kozelek (Son Kil Moon, Red House Painters). Saulsbury is the exact opposite, favoring a bright, melodious tone. In more acoustic settings, that clash of styles can be jarring. Beefed up with roiling distortion, however, the duo's opposing traits add a layer of aural intrigue — not to mention some needed ballast. Ava Marie continue to chase literary ambitions on the new EP. To wit, under "Influences" on their Facebook page, they list not musicians but writers Pablo Neruda, Tim O'Brien and J.R.R. Tolkien. The group's newfound sonic fortitude is an asset here, as well. Where delicate folk trappings could make their earlier poetry precious, a little electric muscle makes their writing feel less pretentious. For example, the meandering guitar line on "White Hides" adds a ghostly chill to the song's gothic lyrical stylings. The atmospheric touches on closer "Motel Room in May" are wistful and longing, much like the song itself. At times on Kettle Steam, Ava Marie still seem overburdened by their own artistic ambitions. Certain songs — "Only Sea" and "Frozen Laundry Lines," in particular — are overwrought and overwritten. The band succeeds when its members don't try quite so hard to make grand artistic statements, and simply let their music breathe on its own. 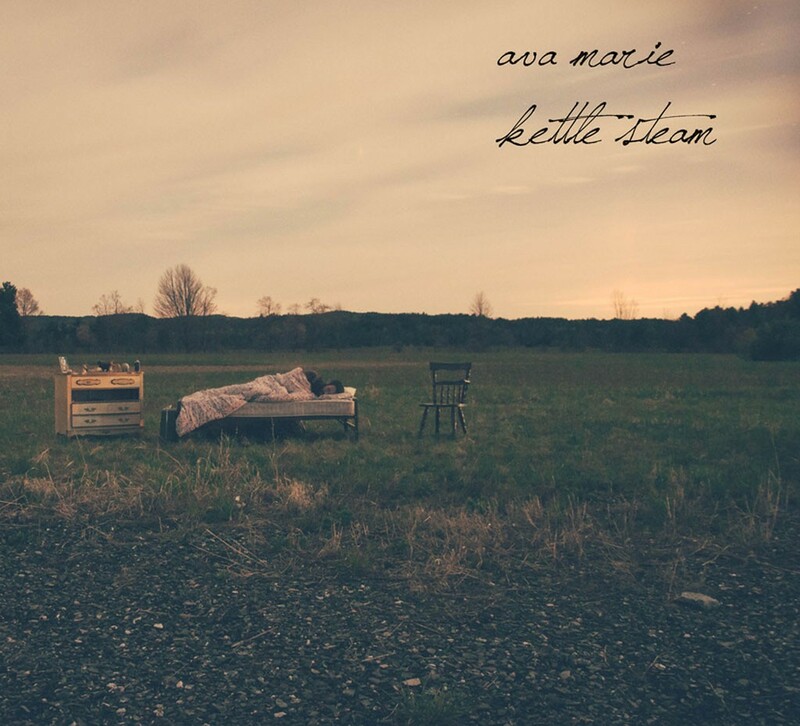 Kettle Steam by Ava Marie is available now at avamariefolk.bandcamp.com. It will be released on vinyl through Feedbands in August. Ava Marie, In Our Garden. After the War. Your Eyes Close. I Breathe Out.